At least 18 people, mostly children, were killed when torrential rains swept away a bus carrying students and teachers touring near the Dead Sea, according to sources in the country’s civil defence directorate. Most of the dead are reported to be schoolchildren under the age of 14. Officials said the death toll was expected rise. The official news agency Petra said 37 students, along with seven adults, had been touring near the Dead Sea when heavy rains unleashed flash floods in the area. 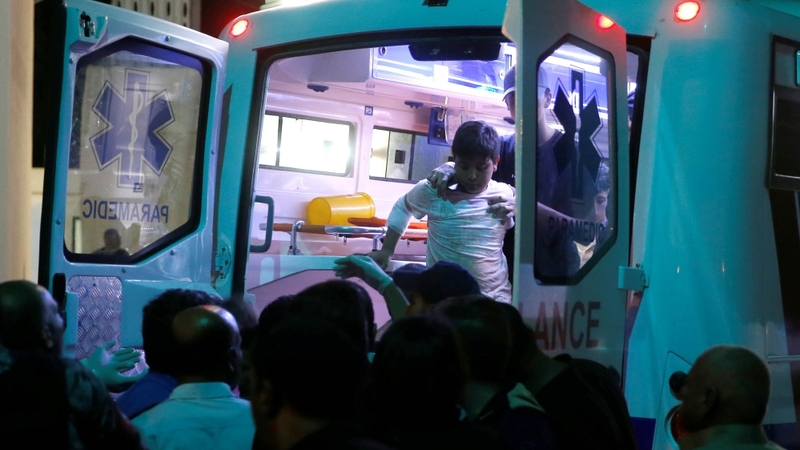 Ghazi al-Zaben, Jordan’s health minister, had earlier said that 11 people were also injured, adding 21 others on the school outing were rescued late on Thursday. A number of families picnicking in the popular destination were also among the dead and injured, rescuers said, without giving a breakdown of numbers. Petra said Jordanian Prime Minister Omar Razzaz was on the scene to oversee the rescue mission. King Abdullah also cancelled a trip to Bahrain to follow the rescue operations, Petra reported. It was reported that Jordanian authorities requested Israeli assistance in the search and rescue effort. Israel sent search-and-rescue helicopters to help, an Israeli military statement said. It said the Israeli team, was operating on the Jordanian side of the Dead Sea, where a bus carrying the students and teachers was swept into a valley by rain-stoked floodwaters.Heavy rain is set to continue across the region into Friday.